Are you a builder or renovator with design requirements, and are you looking for bathroom mixers at an attractive price? If so, please check out the new mixer range from hansgrohe here. You can create fresh, dynamic design for a modern bathroom. The wide selection offers elegant combinations to guarantee a consistent look for your wash basin and bath tub, shower and bidet. Create a dynamic, contemporary design for the bathroom: the dynamic handle and spout add an aura of sophistication to the mixer. The consistently slender design of the bathroom mixers demonstrates elegance. Precision edges add a sense of clarity to the design. The wide range offers you unprecedented creative freedom. 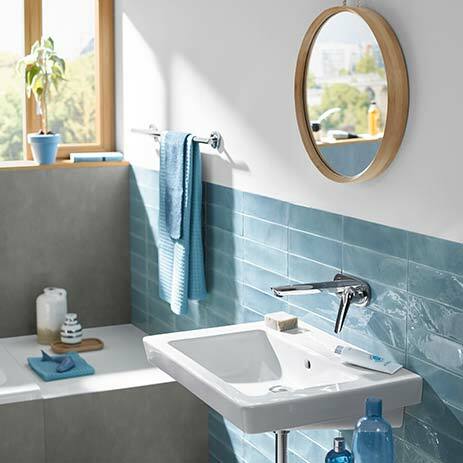 With Novus, you will find the perfect mixer to match any modern wash basin. Different heights are available for your requirements at the wash basin. In the shower, choose between the shower mixer on the wall and the concealed installation variants. And there’s more: the latest bathroom mixer range from hansgrohe combines design quality with an attractive price. Design: Dynamic design, from base to spout. A sensuous ambience combined with premium character. The upright handle guarantees easy operation. 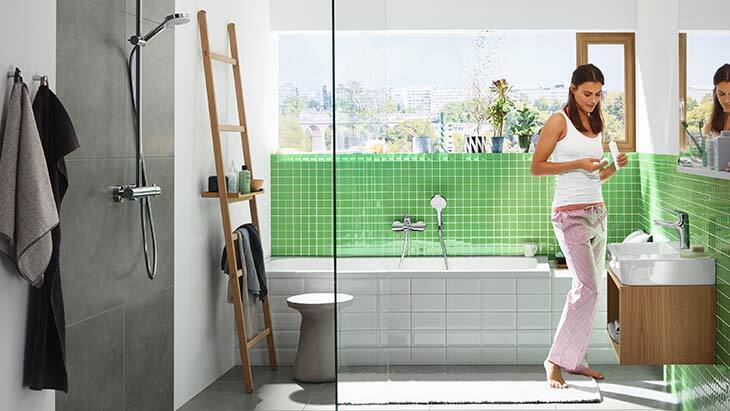 Easy to combine: Novus works well with all hansgrohe hand and overhead showers. Opt for the Crometta shower range to create an exceptionally stylish bathroom. Wide range of products: You can use the new mixer range to design your entire bathroom, including the wash basin, bath tub, shower and even the bidet. Technology and comfort: The Novus range offers you EcoSmart and AirPower technologies. This means you can save water without compromising on comfort. The CoolStart variant for less energy consumption and LowFlow technology for a minimum flow rate are also available. QuickClean makes cleaning easy and guarantees long service life and function. Getting started in design: For those who do not want to compromise on hansgrohe brand quality, even on a limited budget.